This mesh net top looks amazing. 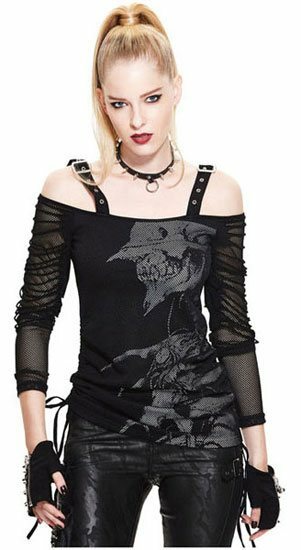 The arms are see-through mesh net with slashed shoulders. The front and back has mesh covering (not see-through) and has two buckle shoulder straps. The side has two adjustable pull strings to adjust the length of the shirt.